I was first introduced to the Katharine Hepburn brownie recipe in Dorie Greenspan’s Baking: From My Home to Yours. The book includes many brownie recipes, and this was one of them. I’ve since seen the recipe in dozens of places online, in books and magazines. This brownie recipe was originally shared in the New York Times, by one-time neighbors of Katharine Hepburn. When they brought her a batch of brownies, she said they had too much flour and were overbaked, then proceeded to share her family’s brownie recipe. 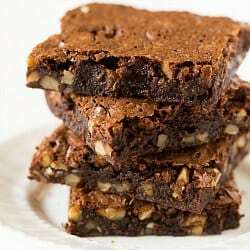 The brownies don’t have a lot of height, but are supremely moist and chewy, quite fudge-like, and loaded with walnuts. My mom adores any and all baked goods with nuts, so with Mother’s Day approaching last week (and Katharine Hepburn’s birthday being yesterday), I thought it would be the perfect time to try out this much-anticipated recipe! As I suspected, my mom absolutely adored these brownies. She loved how many walnuts there were, although if you’re not a huge of nuts you could always cut the amount in half or leave them out altogether. You’ll still have a supremely moist and chewy brownie, complete with that thin, crackly crust that’s irresistible. If you happen to have some vanilla ice cream and hot fudge laying around, I urge you to make a brownie sundae. 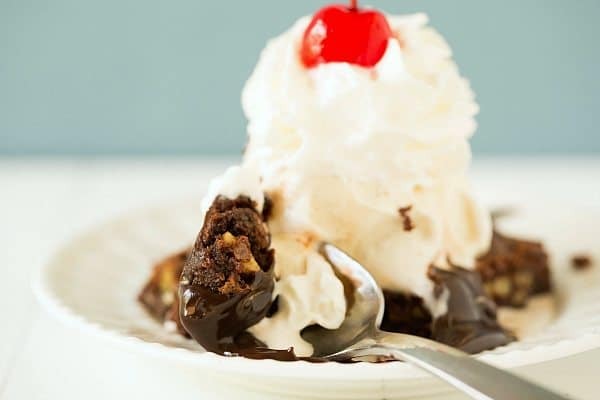 Brownie sundaes are always a good idea! The famous recipe for Katharine Hepburn's brownies. Preheat oven to 325 degrees F. Line an 8-inch square baking pan with parchment paper; set aside. Place the butter and chopped chocolate in a medium bowl set over a small saucepan of barely simmering water over low heat. Warm the chocolate and butter, stirring constantly, until completely melted and smooth. Remove from heat. 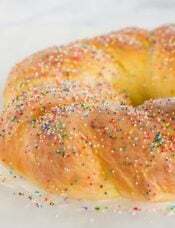 Whisk in the sugar, then whisk in the eggs and vanilla extract. Using a rubber spatula, fold in the flour, salt and chopped walnuts. 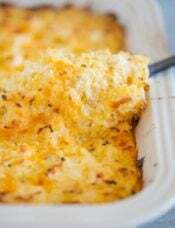 Pour the batter into the prepared baking pan, smoothing it into an even layer. Bake for 40 to 50 minutes, or until a toothpick inserted into the center comes out with just a few moist crumbs attached. Place the pan on a wire rack and allow to cool completely before cutting into squares. Store leftovers in an airtight container at room temperature. I made these tonight but I only cooked them 27 min on 315 with 8×8 glass pan. 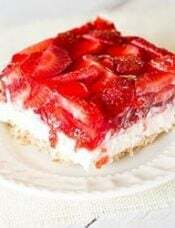 40 minutes will kill this recipe and no where on the web are KH brownies given 40 min cook time. I used WS Pernigotti cocoa. The brownies are really amazing. They are gooey and chewy the way a brownie should be. Rich, fudgy squares of chocolate delight. Next time I will add espresso powder. I must be the only one who is not of fan of this recipe. I baked these last evening and I was disappointed in the texture and taste. Baking is always experimenting and trying new things though. I got this recipe from a magazine some years ago and have baked it several times but they always come out too thin, no matter what I do. Not to worry, I’ll be trying the Baked Brownie very soon! I am so addicted to brownies. I think I am going to make a batch with pomegranate seeds this weekend! made these this weekend and featured them on my blog! they are so so good!!! Made this last night for my neighbor as a gift as he is taking care of our pets while we go out of town for Memorial day weekend. They were yummy! I wrapped them individually in cling wrap then put in a container as suggested. Left a few for us to try too! I love that there isn’t too much flour they were definitely fudgey but not too sweet. Very similar to a brownie recipe in Mssr Lebovit’s classic, “Ready for Dessert”. His recipe is an adaptation of a one given to him by Robert Steinberg who co-founded Scharffen Berger chocolate. The only differences are that DL’s recipe calls for 8 oz. of chocolate, 6 oz of butter and 3/4’s of a cup of sugar and another huge difference. DL uses a regular pan to melt the butter and chocolate and then requires mixing in the flour ( after all ingredients are included) and whisking energetically for ONE minute. It’s very important (and possibly good exercise). I’ve copied in the shortcut. Hi, i dont have chocolates with me right now and need to substitute that with cocoa. can you please tell me houw much cocoa should i use to substitute these 2 ounces of unsweetened chocolate? You could substitute ½ cup unsweetened cocoa powder. 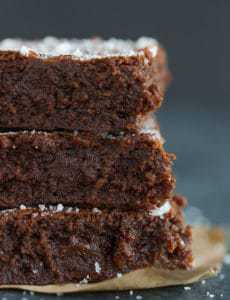 These sound delicious :) I just made brownies on Sunday, but might have to make some more. 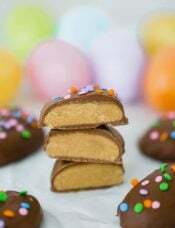 I was just looking at these online the other day and thinking about making them with carob. They sound super yummy and fudgy! 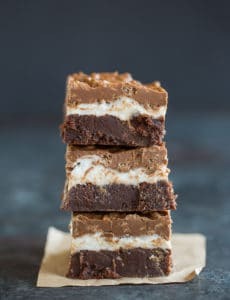 Hey i noticed that your post on these brownies and the picture has been copied by the site http://www.pincookie.com/katharine-hepburn-brownies/ and they have not given credit. Please take note. Thank you for the heads-up, much appreciated! I’ve been making these very brownies for 20 years or more. Will never switch! Need to make gluten free? Substitute quinoa.. Works perfectly. Quinoa? WoW. Regular old quinoa in equal amount to wheat flour? Or a ground quinoa flour? Thanks! I love these brownies. 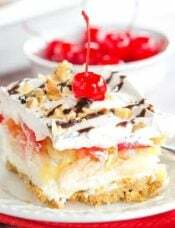 I was given the recipe 20 years ago at a Nutcracker Sweets Christmas party. I embarrassed myself by eating 4 of these brownies. When I make them I always add extra toasted walnuts…Life is great!!! 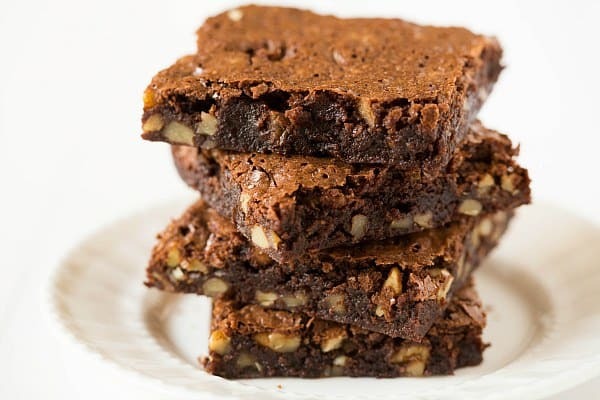 These brownies are fully loaded with walnuts and they look glorious!! I’ll have to try Katherine’s recipe! The Baked brownie is the ultimate brownie. If you could make only one batch of brownies, make that one. 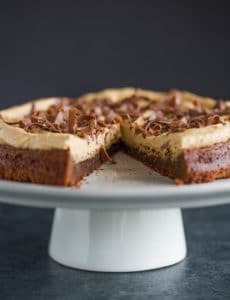 However, the Baked brownie requires quite a bit of chocolate and eggs, so other brownie recipes (like this one) come in handy when you want to whip up a quick batch with ingredients you may already have sitting in your cupboard. I love a lot of different brownie recipes for a lot of different reasons, but the Baked Brownie is definitely my all-time favorite. I grew up with nuts in all my brownies and cookies because that’s the way my parents like baked goods. I’m still constantly surprised how many people dislike nuts in brownies and cookies! 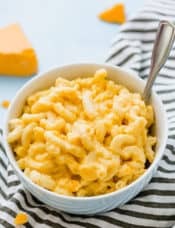 This recipe looks a like hit for my family! 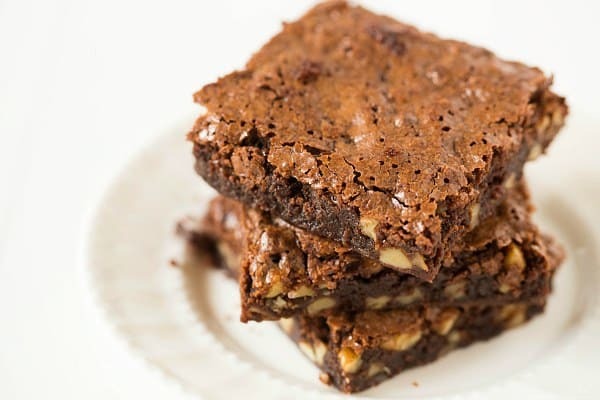 Which recipe do you like more -the baked brownie, or the Katharine Hepburn brownies? I love a lot of different brownie recipes, but the Baked Brownie is tops in my book (for right now, anyway!). Brouwnies are my personal weakness and I seriously can’t wait to try these out! Thanks! I can’t believe I haven’t tried these yet! Time to pull out BFMHTY! Thanks for the reminder!